These were the colors of the dahlias I planted last year, and tried to weather through the winter in the cold. Unfortunately the bulbs didn't make it, so I'll have to try again this year! Such a beautiful flower dahlias are. 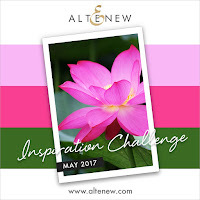 I'm playing along with the lovely May Altenew Inspiration Challenge with the shades of pinks and greens. I'm still trying to perfect this loose watercoloring style, as I love it so much. 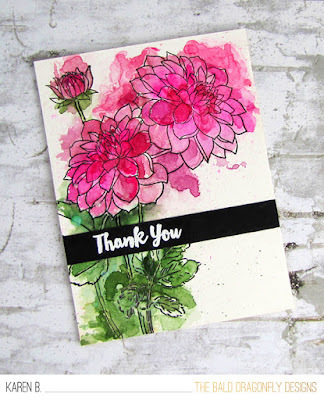 I heat embossed in black onto watercolor paper some blooms and buds from the Dahlia Stamp Set, stems from Remember This and a few leaves from Beautiful Day. I then watercolored them with a combination of zig markers and Gasnsi Tambi Watercolors. Theres a touch of splatter that I am so fond of as well. 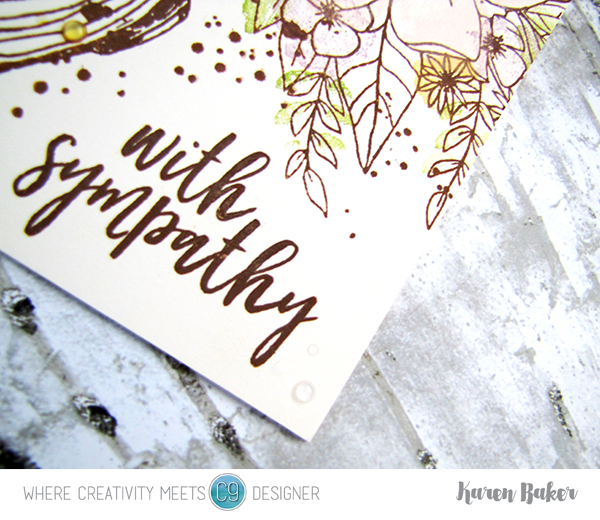 I added white heat embossed sentiment from Everyday onto a black sentiment of cardstock. 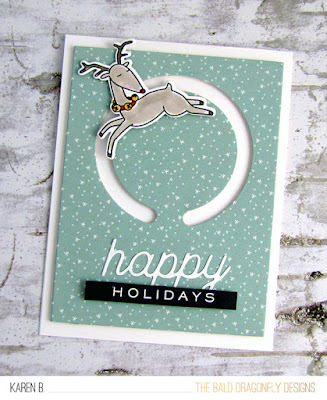 I finished the card with some White Blizzard Nuvo Drops. I've got a sweet, CAS card up on the Butterfly Reflections Ink Blog as a guest desiger, and would love for you to stop by and see the full card! Oh, Hi There. Just a quick card I made waiting for the morning dew to dry up a bit outside so I can get to work finishing up my perennial beds and some other things in the back yard. I love this time of year! I based my card off the Reverse Confetti Sketch for You To Try May 2017, and pulled out the cute and cuddly Bear Hugs Stamp Set. I used the grass for the bottom elements and thought that the trio of bears was a perfect fit to represent the squares. 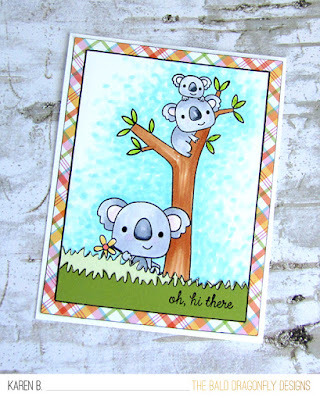 The sky was colored in with Copics, in a dotted fashion, and the bears with Copics as well. I cracked up with I saw this stamp set, and knew I had to have it. What better time to pull it out and get it inky and participate in the MFT Challenges! I know I'm a bit off on the blue color, but I think it still works. 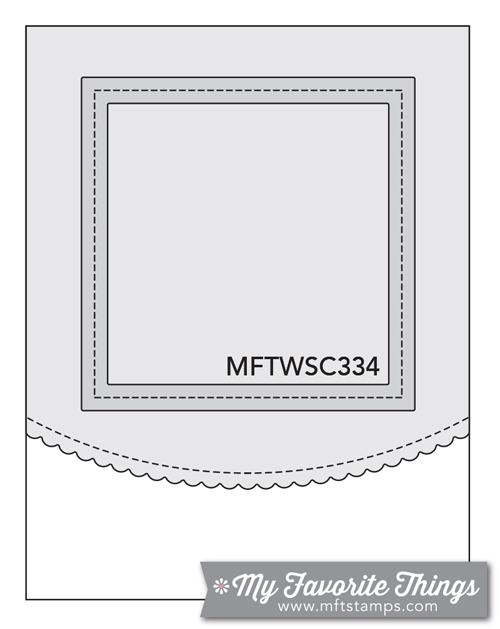 I wanted to keep the card clean and simple, while still following the sketch guidelines. 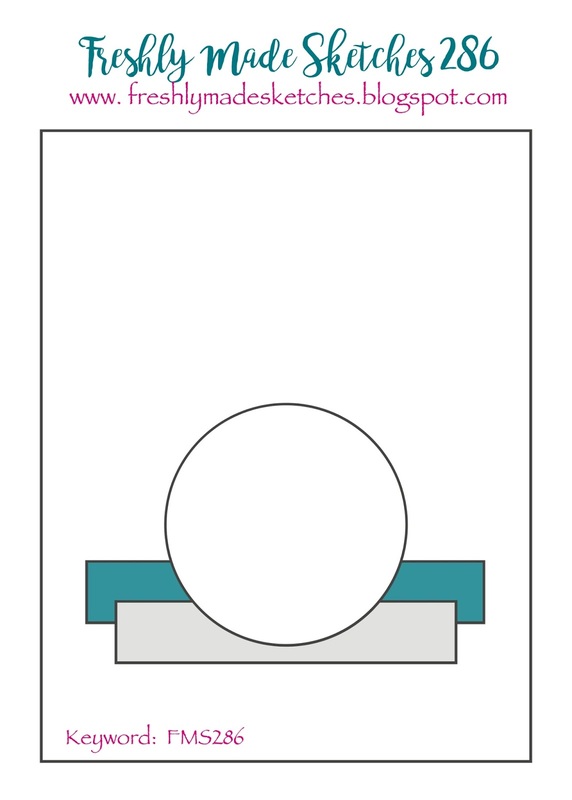 The cloud die forms the waves in the ocean, it was used both right side and upside down. 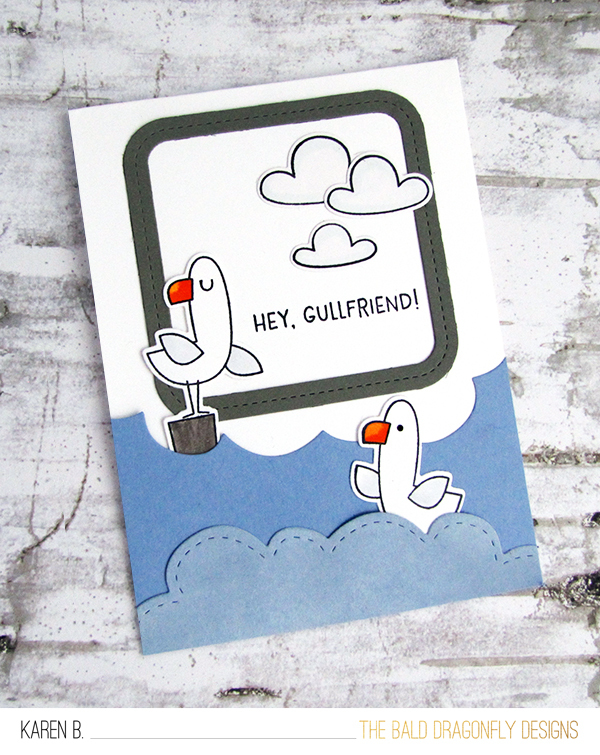 I tucked in some colored and die cut gulls and clouds from Seaside Seagulls, and the frame is from Stitched Rounded Square Frames. 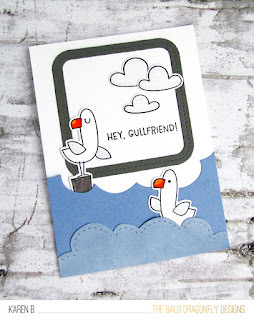 To finish the card, I stamped a sentiment and a seagull on the inside. 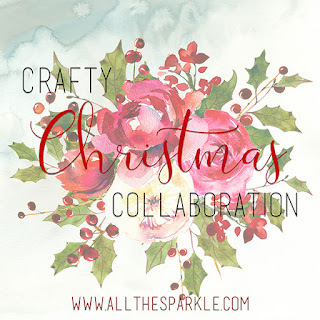 I'm so excited and honored to be Jess's Crafty Christmas Collaboration Guest over at her blog, All The Sparkle. 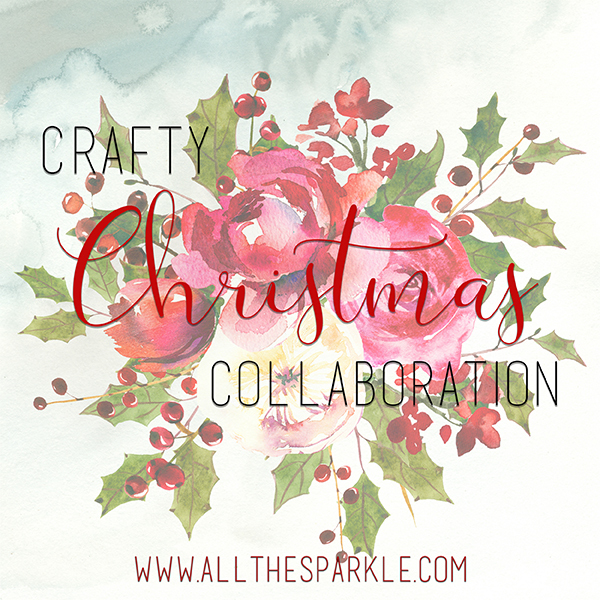 Such a fun thing to do, we exchanged some Christmas crafty goods with each other to get a head start on our Christmas Cards for this year. 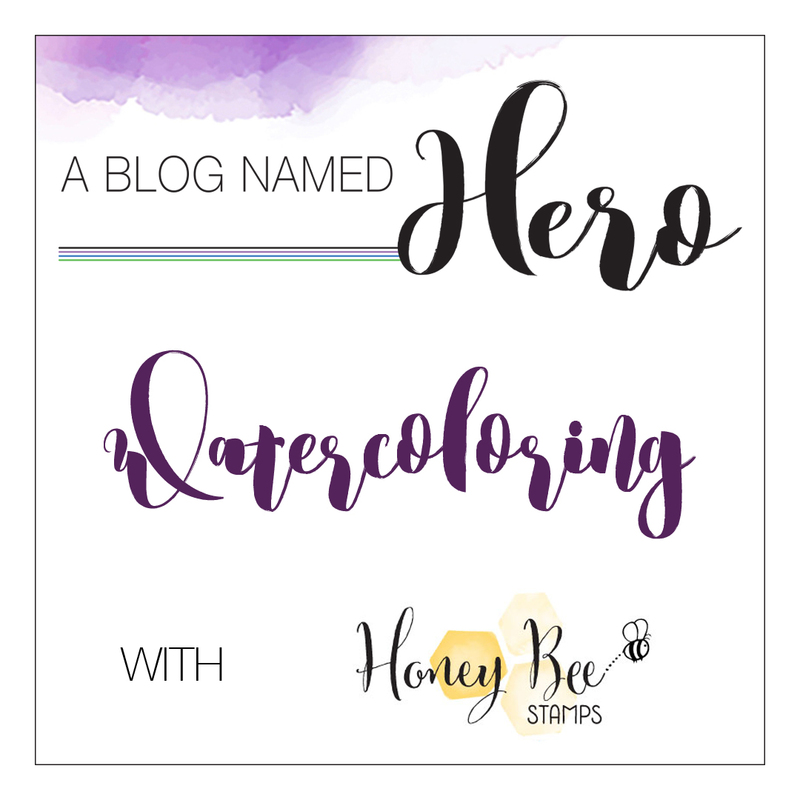 Jess has a challenge and giveaway going on as well, you can check out all the details on her blog! 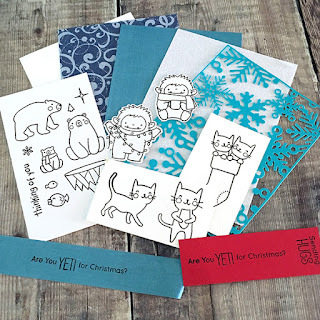 Here are the goodies I was sent, the package included adorable Santas and Reindeer, a sentiment panel and word bubbles, patterned paper and sequins! 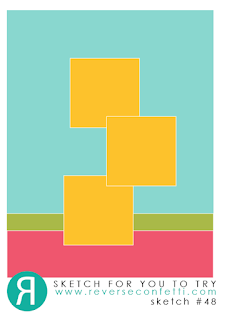 Below are the following cards I made with them. 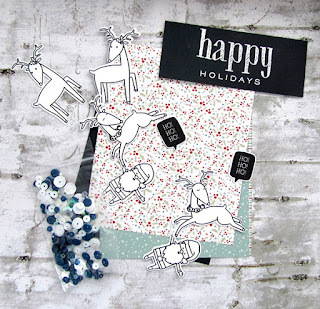 For this first card, I created an interactive reindeer that flies through the starry sky. I loosely colored the reindeer with Copics, and added a Nuvo Drop for the nose. 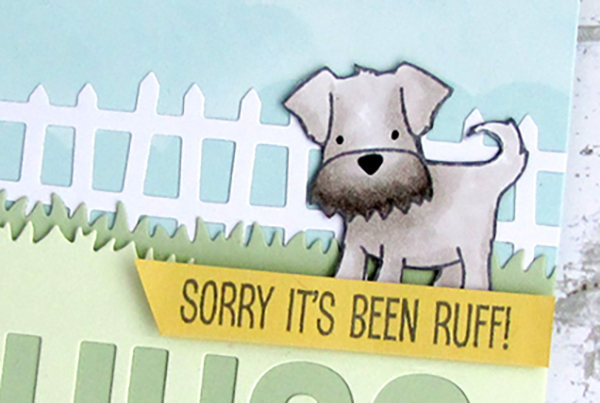 I cut apart the sentiment and added a die cut word to finish the card off. For this next card, I grabbed a reindeer and Santa, colored them with zigs and gave them a nice coating of sparkle. I mounted them onto the dark cardstock panel, added a word bubble and some sequins and then mounted this onto a piece of the patterned paper, which was affixed to a card base. I decided to keep the die cut in one piece, and covered the panel with some Pearl Nuvo Mouse. 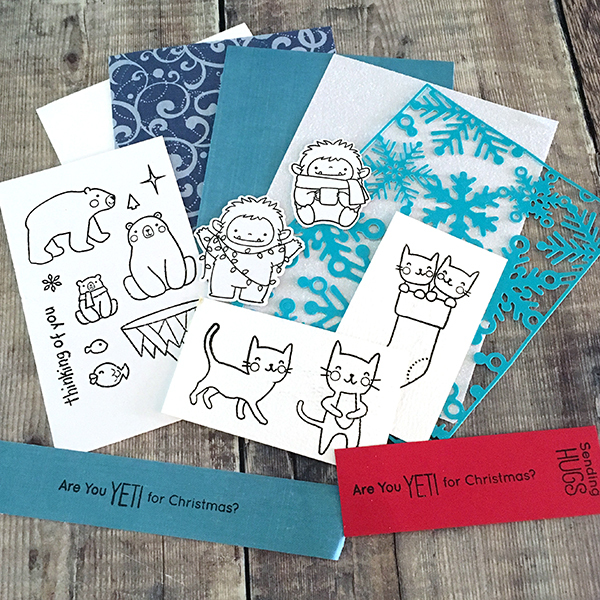 I also colored and fussy cut the polar bear, and he too, was covered with the mouse. 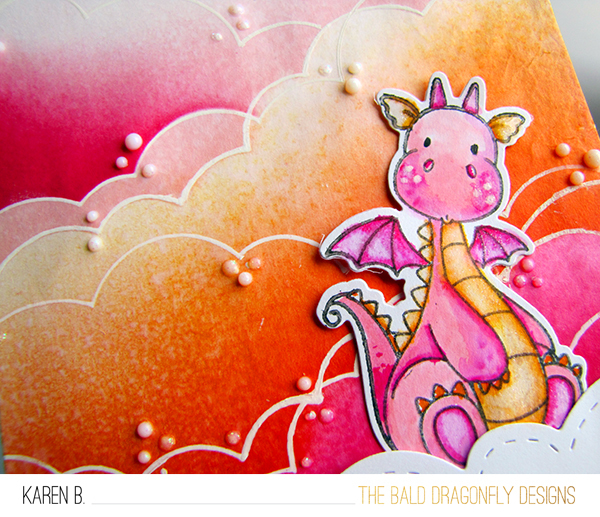 I added a stamped sentiment strip. Simple, but effective I think? 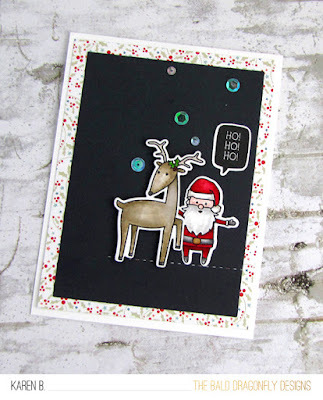 This was such a fun collaboration, and I already have some Christmas cards for my stash in May! 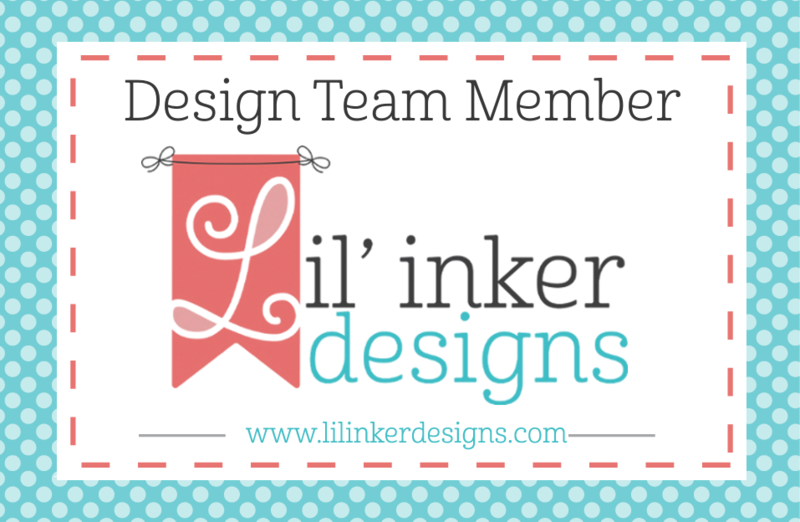 Have you ever collaborated and exchanged products with a fellow stamper? Too much fun. It can really get you out of your comfort zone as well, and work with products you normally wouldn't reach for. Thanks, Jess, for having me! 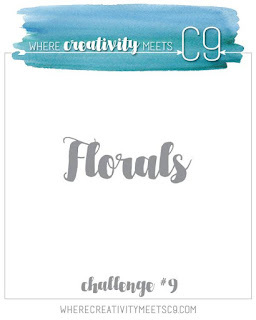 I have a solo post up over on the Where Creativity Meets C9 Challenge Blog today with this floral sympathy card for the latest challenge: Challenge #9: Florals. 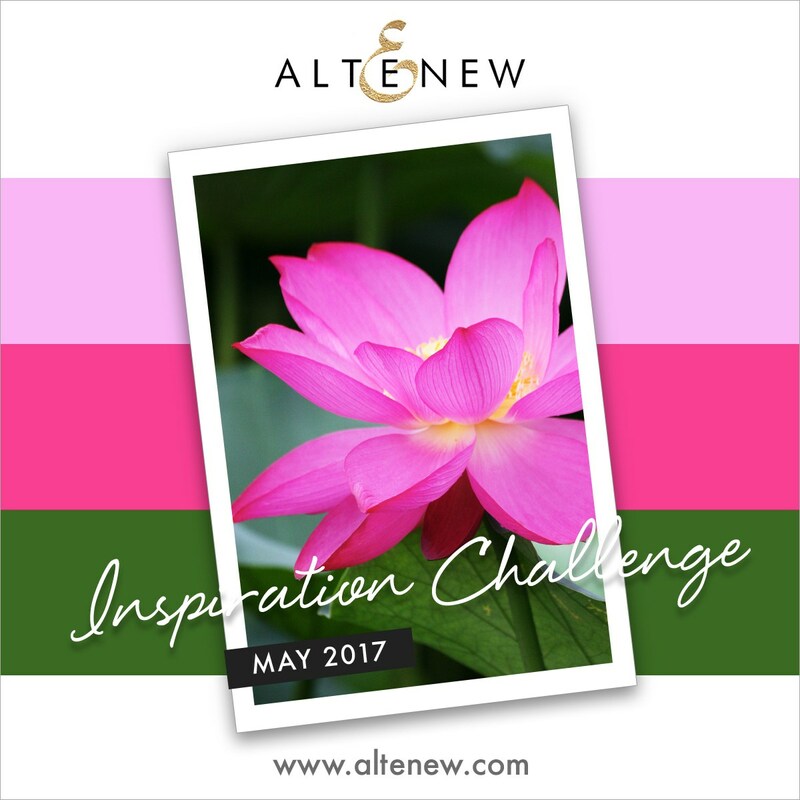 There's still time to play, you have until May 29th and we'd really love to see your amazing projects featuring Concord & 9th Floral images! Coming to you from a rainy, Saturday afternoon here in Wisconsin. 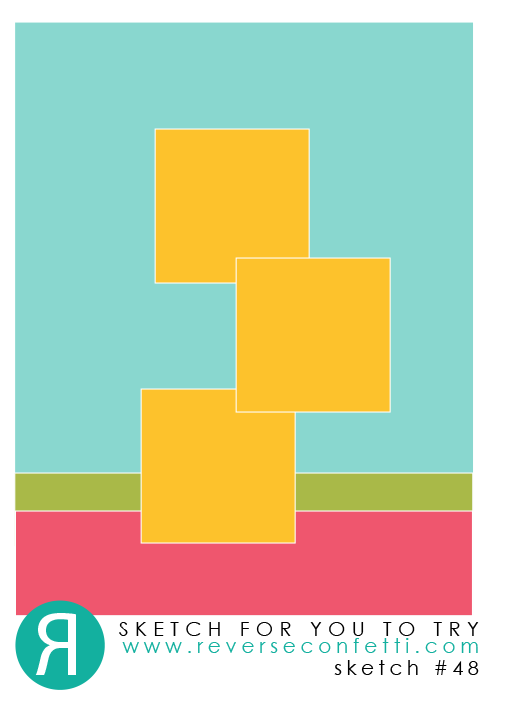 I did get some perennials rearranged this morning though, and took some time just now to create this card. 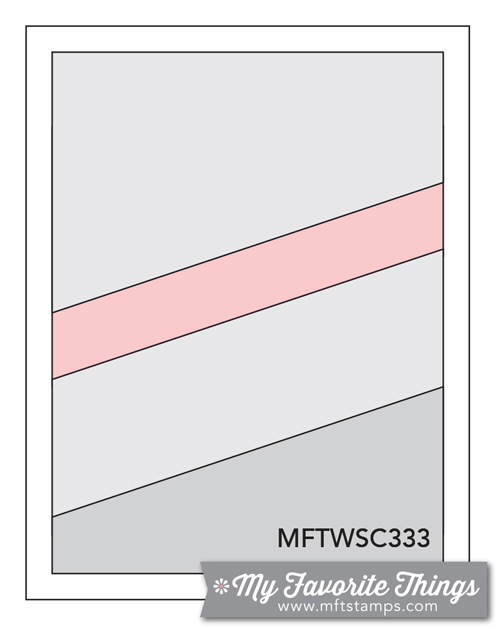 I started with the MFT Color Challenge #69 and MFT Sketch Challenge #333 in mind. To create the diagonal lines reflected in the sketch, I used the new Cloud Stencil to create a series of pink, raspberry and orange clouds, then outlined each with a white gel pen. 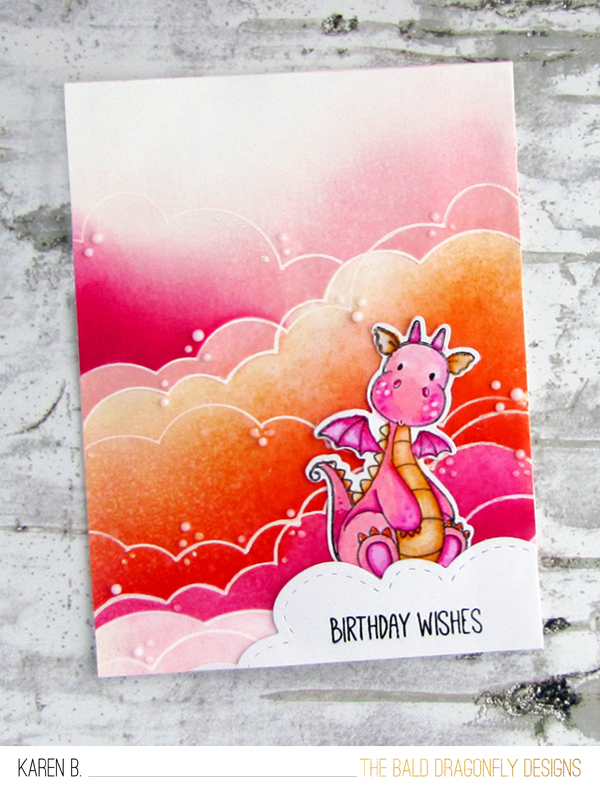 Next, I die cut and colored a sweet lil' dragon from MFT's Magical Dragons and then tucked him behind a white cloud. The sentiment comes from Top Dog. 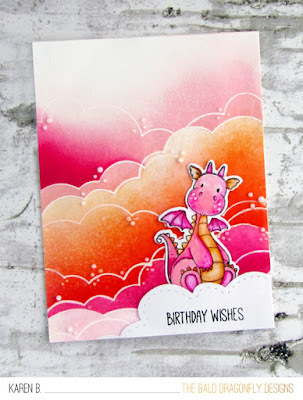 I finished the card with some White Blizzard Nuvo Drops. 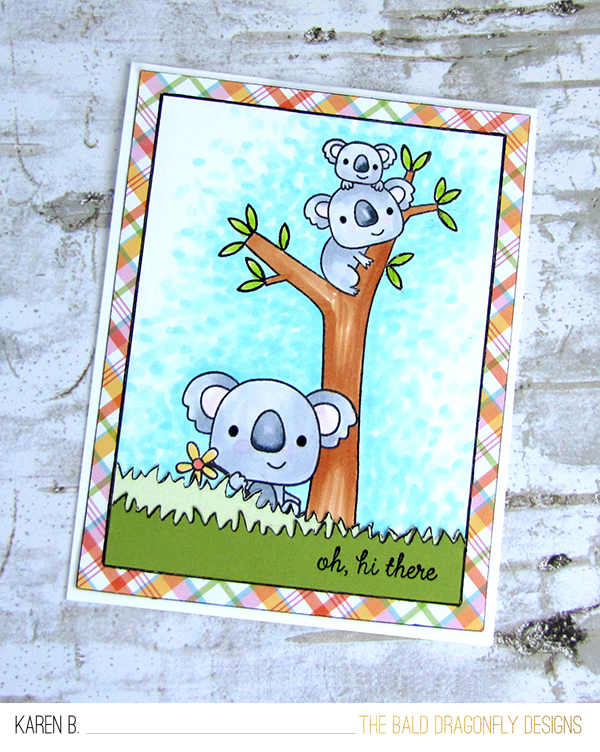 A bit of watercoloring with Distress Oxide Inks, some stamping with Hero Arts and Honey Bee Stamps, a bit of die-cutting with Neat & Tangled and some action-wobbling make up this card that I think is so soft and sweet. 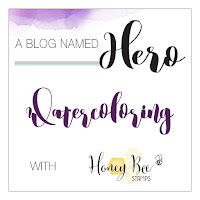 I'm playing along in A Blog Named Hero's May Challenge: Watercoloring featuring Honey Bee Stamps. I started by inking with a sponge distress oxide inks in Worn Lipstick and Fossilized Amber onto the edges of a watercolor panel and then added various amounts of water to soften the edges. 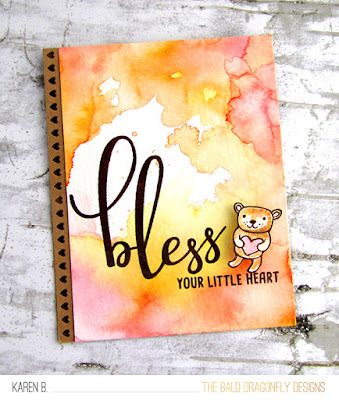 I then stamped the greeting from Honey Bee's Bless Your Heart Stamp Set with brown ink, as well as the cute bear from Hero Art's Baby Animals Stamp Set. 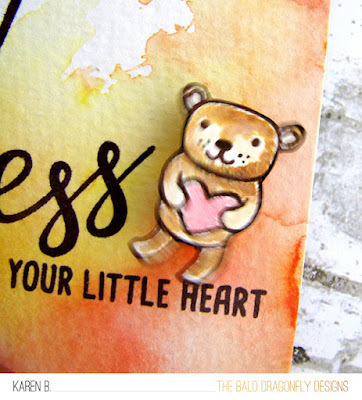 The watercolor panel was adhered onto a kraft cardbase that had been die cut with Neat & Tangled Tiny Prints Die Cuts and then I adhered the fussy cut bear with some wire to make it wobble. Here's the sweet little guy with some wobbly action! There's a new Where Creativity Meets C9 Challenge and it's all about creating a floral project showcasing the amazing products available at Concord & 9th as this challenge is dedicated to the innovative stamp company and their products! 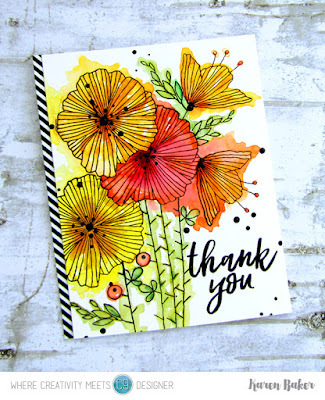 There are so many beautiful floral stamps available at Concord & 9th, so it was difficult for me to narrow down which set to use. I decided upon Wildflower. I stamped and heat embossed a floral scene onto watercolor paper, (with only a bit of masking) and then loosely colored the petals with Zigs. 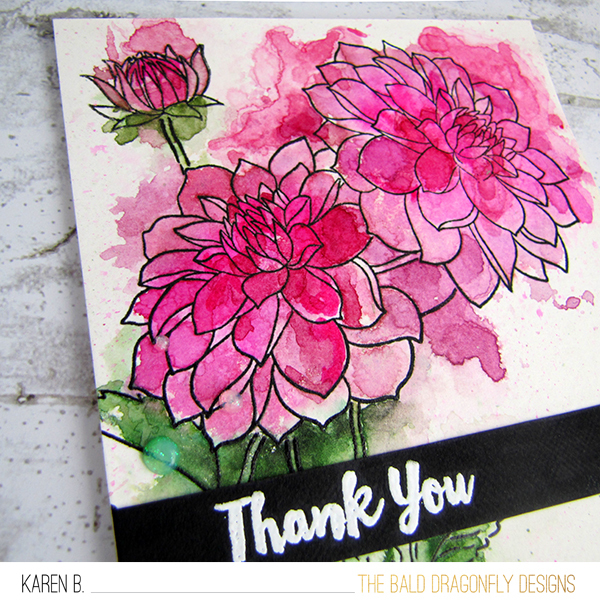 After everything dried, I stamped and heat embossed a sentiment from Brushed Blossoms. The final touch to my card was to add a series of black Nuvo Drops to the flowers and empty areas. The challenge is sponsored by the fabulous Concord & 9th and one luck random entry will receive a $25 gift certificate for a Concord & 9th shopping spree. The favorite entry will be asked to guest design for a future challenge! The challenge runs until May 29th, so there is plenty of time to pull out your favorite Concord & 9th stamps and die and create an one layer project. Plus, new Concord & 9th products were released TODAY and they are fantastic! 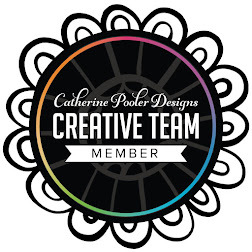 You can find Where Creativity Meets C9 Challenge on Facebook here, and their Instragram here! This bunny. 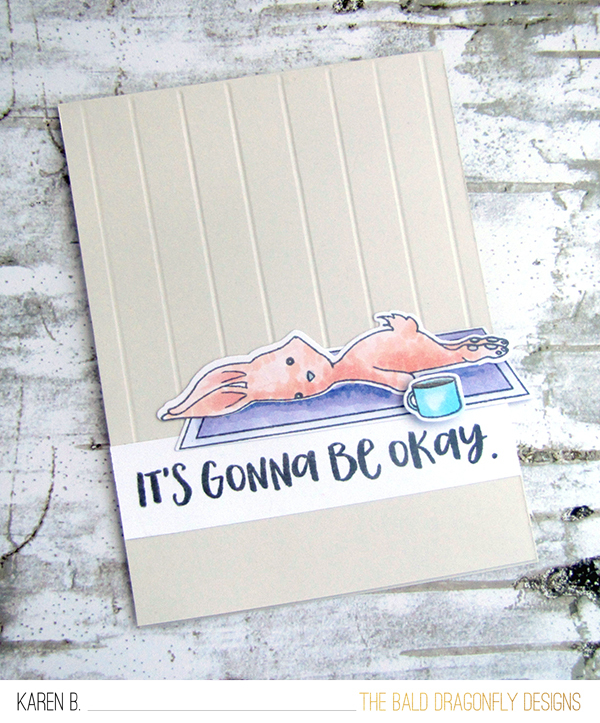 This Blah Bunny from Honey Bee Stamps almost sums up my days... I knew I had to have it and the coordinating sentiments too. As soon as it arrived yesterday I had to ink it up. 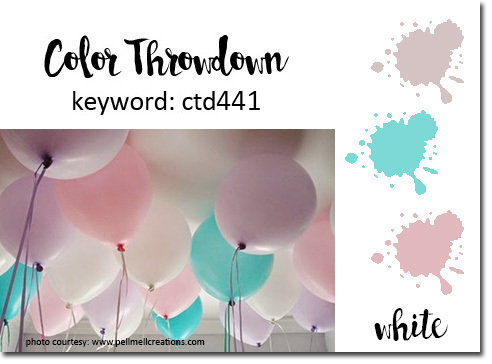 I chose to work with the colors from the Color Throwdown Challenge #441, and the sketch from Freshly Made Sketches #286. I colored the rug, stuffed bunny and coffee mug with Copics. The mug was affixed to the card with foam dimensionals. To add a bit of interest to this CAS card, I scored some lines in the front of the card base to represent wainscoting, I can't wait to reproduce this card with different colors!